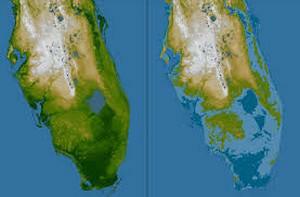 Back then, sea levels were about 30 to 60 feet higher than they are now, Stern said. The recent rise in carbon dioxide concentrations has created rapidly increasing temperatures that could raise the ocean back to those pre-human levels — which would profoundly alter our civilization’s geography. As dire as those scenarios seem, Stern also expressed some optimism, saying that policymakers are now much more likely to believe that we can combine continued economic growth with zero-emissions technology — a change from common views expressed at, say, the 2009 global climate summit in Copenhagen.